A scratch distillery using American grain, grown by local farmers, resulting in a farm to bottle premium American spirit. We don't promise to be fancy... We promise to be honest. At Uncle Jumbo's distillery, our double copper column reflux still and mash tun are run on steam injection, not electric heating elements. This gives us quick, efficient and even heat that doesn't scorch our grain. We are the best because of our process. We are honest craft distillers! We make our vodka from grain sourced from local farmers. We control the process as soon as the super sacks filled with corn come off the farmer's truck. Our cooking process starts with 1,000 lbs. of corn and we do not use any malt in the cook. We are 100% gluten free! After we cook we transfer our mash to one of our fermenters, pitch different strains of yeast and wait a week for alcohol to be produced. This is what we mean when we say we don't buy our alcohol...we make it! We've all heard about vodka being made in pot stills. The big brands are trying to glamorize that their vodka is actually made in whiskey stills. 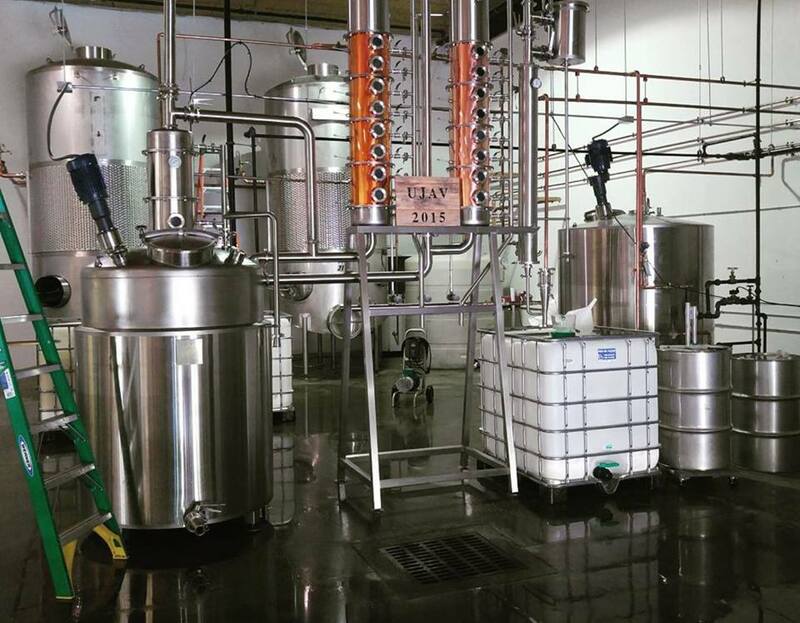 At Uncle Jumbo's distillery we use a 16 plate double copper column reflux still...specifically made for vodka. Our spirit goes through 24 distillation plates, 8 on the first pass, 16 on the second. We are not automated, we are in front of our still when we make our cuts. When the run is no longer slippery or smells offensive...that's when we start collecting. We give you our hearts. 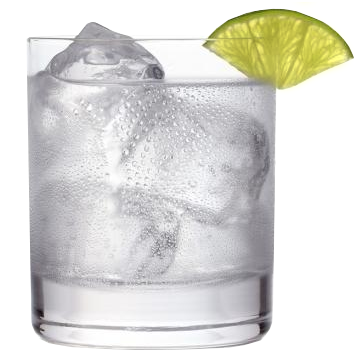 Sixty percent of all 80 proof spirits are water. That's right, that bottle of rum, whiskey, vokda or gin that's 80 proof is 40% alcohol and a whopping 60% water. Without giving away all of our secrets, we make sure the water we use is as clean as our spirit. We filter our water before we cook to make sure no chlorine or sediment touches our grain. Uncle Jumbo's American Vodka goes through a 5 stage filtration process. It takes us ten to fourteen days to produce one batch. 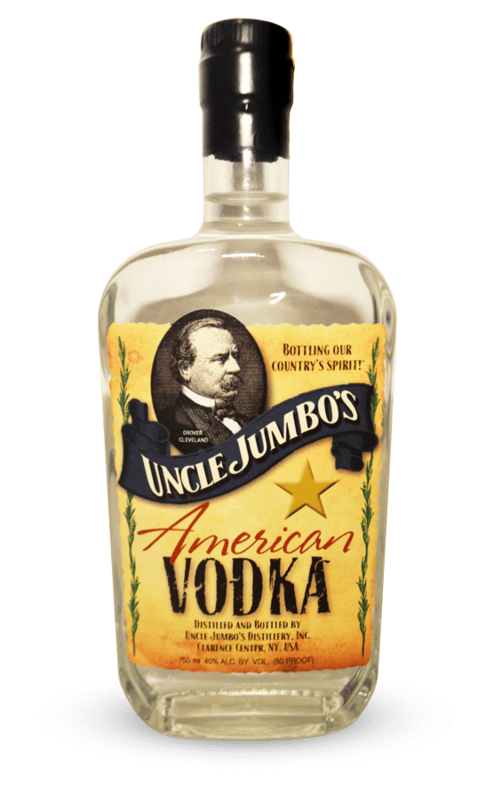 Uncle Jumbo's American Vodka is made from 100% corn and is made in a double copper column reflux still. The water we use is filtered 5 times. It takes us 24 hours to produce just 200 gallons. 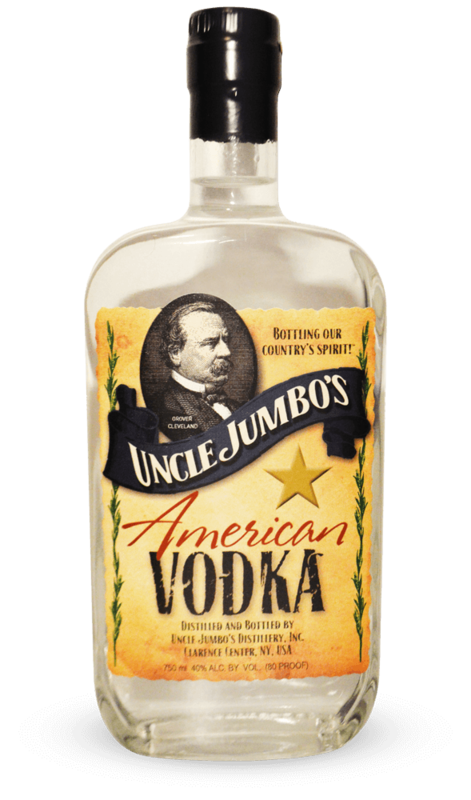 Uncle Jumbo's Country Lemon is a lemonade flavor vodka made from our American vodka that is infused with 100% natural lemon. No artificial flavor, no artificial color and no preservatives. Check back soon for new announcements. Not just a slogan...it's what we do! It's important that we support local farmers and businesses wherever we can. At our Clarence Center distillery we use grain from local farms, labels produced in Akron, NY, bottles made with American glass and our equipment is made in the USA made from American steel. We are proud to support Made in the USA!  pack with crushed ice, shake vigorously...strain and enjoy!  .05 ounce simple syrup. Shake, strain and enjoy!